Published in the June issue of Rhythms Magazine. Every now and then something lands on your desk which, when you put it on, sends you down the rabbit hole, seemingly with no way out – buy the ticket, take the ride is an apt sentiment on how to handle these oddball situations, and never has it been more apt than when listening to Sydney-based Darth Vegas’ second effort, Brainwashing For Dirty Minds. To be honest, this record could be just as easily reviewed in a surf mag, a metal mag or a movie mag as it could be in Rhythms, such is the myriad styles and sounds found within. 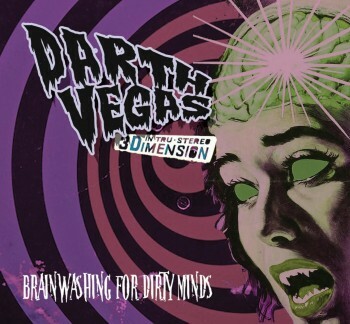 Creeping and crawling, it melds genres with reckless abandon – just when you get used to a bit of surf twang, they throw a death metal riff in there – seemingly with no rhyme nor reason, and yet it fits together eerily well. I’m not saying I like Brainwashing For Dirty Minds, I’m not saying I don’t like it – it’s a musical journey, for wont of a better phrase, but it is a journey, one that leaves you somewhat worn out by album’s end, a little lost, wandering around like you just woke up from an epic sleepwalk and you’ve found yourself in K-Mart in your pyjamas. With blood dripping down your neck and a bottle of absinthe in your back pocket. It’s psychedelic b-movie soundtracks mixed with horror and surf – I’ll leave the rest up to you. What we have right here is a bold, ambitious gamble, one which could well have veered off the tracks and come to a brutal, fiery end, trapped within its own grandiose notions of reinterpretation, trampled and burned up by its own visions of what it could possibly have been. 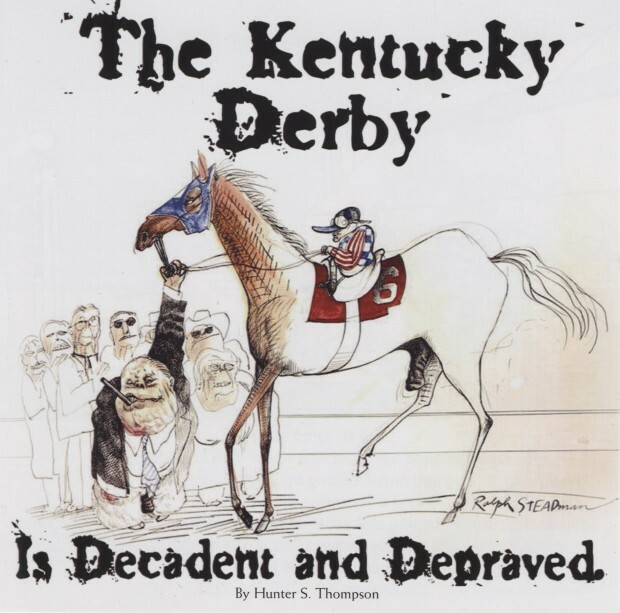 Fortunately for all involved though, the gamble has paid off, and so The Kentucky Derby Is Decadent And Depraved is a thoroughly entertaining and well executed look at one of the most famous pieces of journalism ever written, set to a score which does nothing but highlight the searing dialogue, adding to it another dimension that even its legendary author couldn’t have captured with just words. 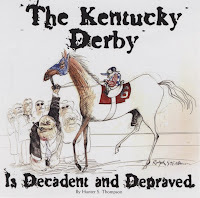 The Kentucky Derby Is Decadent And Depraved is of course the article, written by the late Hunter S. Thompson, which birthed Gonzo journalism, the piece focusing on the depravity and the lewdness of the Derby crowd as opposed to the race itself, Thompson’s search for that epitomising character which summed up the whole debauched affair, only to realise, come the end, that it was him and artist Ralph Steadman, drunken and rollicking, all along. Basically, the record is a reading of the entire article in all its longwinded glory. Thompson is played by Tim Robbins, Dr John makes an appearance as Jimbo, Ralph Steadman plays himself, all making a great impression. Behind them though, led by the great Bill Frisell, is a solid cast of musicians scoring the action, their music breaking up and becoming fractured as Thompson and Steadman descend further into the drink-ravaged state they carry through most of the story, and conversely solidifying as, for example, Thompson careers down the highway in his monstrous American car, really painting a vivid picture. 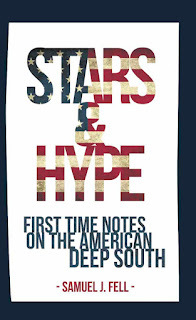 The music swells and pulls, always playing second fiddle to the dialogue, but never letting you forget it’s there, making you feel more than when you first read this iconic piece of writing, and that is no mean feat. They finish, just a lone piano, with ‘My Sweet Kentucky Home’, as Thompson bodily hurls Steadman from his car at the airport and the article winds up. A gamble indeed, but with a hell of a result. Published in the Metro section of the Sydney Morning Herald, Friday June 8th. 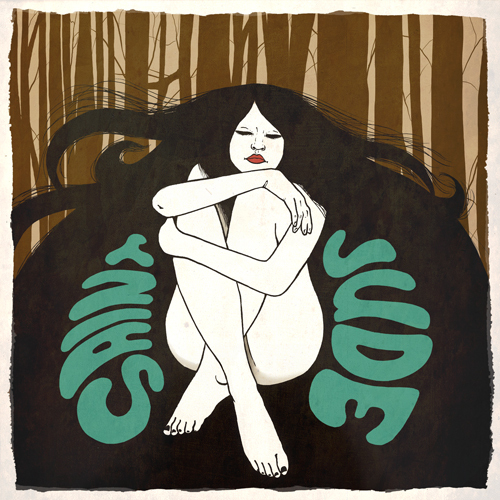 Birthed from the swirling, country-tinged rock ‘n’ roll sounds of their parents’ record collections, Melbourne quintet Saint Jude’s eponymous debut is a veritable treasure trove of the used and the second hand. Little Feat, The Faces, The Band, it’s all there in abundance – jangling guitars, country twang, a bit of rock ‘n’ roll swagger, it’s as warm as your favourite jacket, comfortable too. 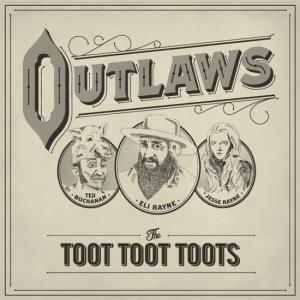 In amongst the familiar however is a distinct Australian flavour, a grittiness which when combined with some of the best four-part harmonies you’ll hear, marks this one as more than just an imitator. 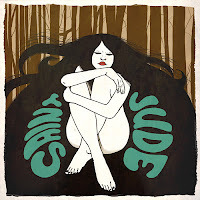 Lashings of keys and horns add an extra element too, acoustic guitars mixing with electric, the mood swinging effortlessly from carefree to melancholy in what is a more than solid maiden release. Published in the Sydney Morning Herald, June 15th 2012. 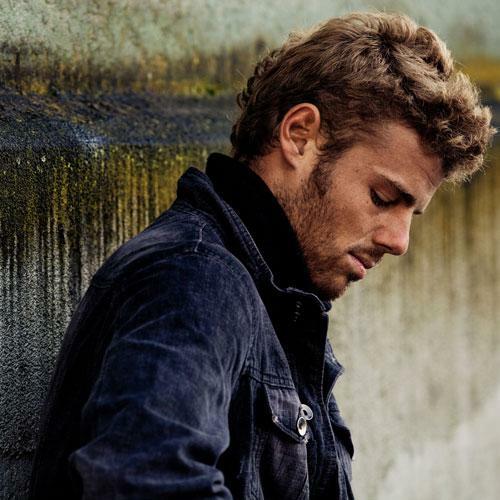 Kim Churchill sits, on the edge of his chair, out the back of the Artist’s Enclosure, away back behind the Mojo Stage – one of few quiet spots to be found during the five day marathon that is Byron Bay’s Bluesfest. He’s got an old Mount Franklin water bottle on the table in front of him, filled with an unidentified orange liquid, and he’s got a smile on his face – he’s just finished his third set for the weekend, and there will be a few weeks of respite before a national tour begins, ostensibly to promote his latest release, Detail Of Distance. The orange liquid in the water bottle isn’t alcohol, it’s most likely some sort of juice, as Churchill has almost completely lost his voice. Two days prior, I’d interviewed him on stage as part of the Rhythms Q&A Sessions, and it was pretty thin then – and he still had two sets to play. “It was great, but it set a new bar for how screwed up your vocals can be and still do the gig,” he croaks with a laugh when I ask how his set that morning had gone. To be honest, this is a vibe you’ll find at most Kim Churchill shows. I’d caught one of his sets earlier in the weekend and the pure joy that radiates off the stage is enough to make anyone dance with reckless abandon – even a crusty journo like yours truly. It’s something Churchill has always brought, ever since he first stepped up onto a stage, and it’s something he carries to this day, with no sign of it becoming lost. A KC show is a joyous event – for him, yes, and because of that, for his audience. Kim Churchill, whilst still at school, studied classical guitar, for around ten years. When he first came to attention then, when I first interviewed him around four years ago, it boggled my mind that this guitar technique and style wasn’t being utilised more in his music. 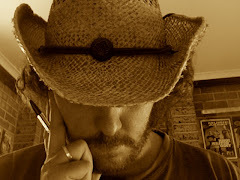 Sure, he was good, but as was pointed out at the time – ad nauseum, as far as Churchill would have been concerned – it was basically like seeing a new Xavier Rudd emerge upon the scene. 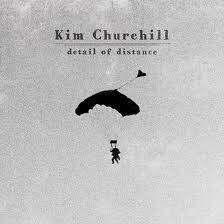 This though, is a comparison that is no longer applicable – Kim Churchill is, as mentioned, evolving, and evolving hard. The rain stops just as I get out of the car, brilliant sunshine breaking through, illuminating the scene, rolling hills all dripping wet. 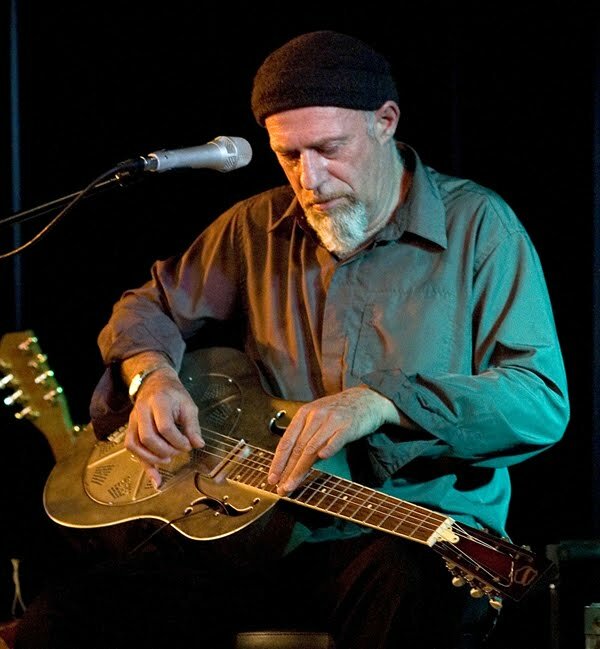 Harry Manx himself opens the door, barefoot, clad mostly in black, a beanie on his head and a smile on his face, we shake hands. He introduces me to the three people hanging out in the kitchen, one of whom is local artist Yeshe, who I’ve met before and who is touring with Manx later this month, they’ve toured together a lot in Canada before as well. We all shake hands. Someone offers to put on the kettle and soon there are cups lined up on the bench, various teabags (green, ordinary, camomile, mint) being added, sugar and hot water. Harry and I chat as we stir, did I find the place OK? Where did that storm just spring from? How nice is it in the sun? I say goodbye to Yeshe, and Harry leads me out the back to what seems to be one of many small decks – this house is gargantuan – and we sit, get comfortable, I find my notebook and Dictaphone, leaning back on the couch I’m sitting on. Harry is on some sort of rocking chair, he sits right on the front edge of it, his cup cradled in his hands. The birds have come out after the rain, they fill the trees with their posturing, the air with their call. “I actually know someone who moved away from here because of the birds, they were too loud,” smiles Harry as we watch them all. I laugh and say that’s ridiculous. It’s warm in the sun, everything is glistening, I pick up my pen and we begin to talk. “I’ve always had a fascination with India, my father used to go there a lot when I was a kid, he was a sailor,” Manx says thoughtfully, his voice almost drowned out by birdsong. “I first went there in ’79, I hitchhiked all through Europe and went through Turkey, got caught in a revolution in Iran, into Pakistan, and I didn’t actually know I was going there on a musical journey at first. I was attracted to the whole culture, the spiritual aspect, it was one of those places where I felt at home right away. 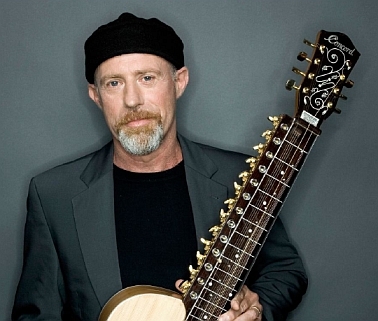 “So I knocked around that first year, played a little sitar, and I decided to go back in ’86 and I took an apartment there and kept that apartment until ’98, so I was around there for, like, 12 years. I studied, starting with the sitar, but I had a feeling that wasn’t quite it. I didn’t want to be playing sitar in an Indian restaurant somewhere, I just didn’t see myself doing that. Published in the June 2012 issue of Rolling Stone. This is the full version of the story. Tucked away in a secluded spot on the north New South Wales coast, lives Jeff Martin, frontman for iconic Canadian rock band The Tea Party. He’s lived there for about three years but for Martin, it’s only a base, for no matter where he’s lived, there’s barely been a time in the past seven years where he hasn’t been out on the road with some project or other. It’s just what he does. 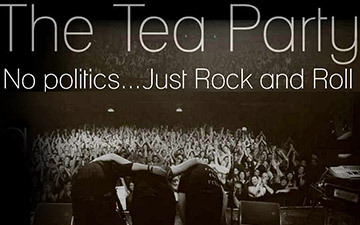 Of course, since 2005, none of those projects have been The Tea Party. That purveyor of east-meets-west, of Moroccan Roll, of scorched-earth roots/rock imploded amidst much acrimony – “Acrimony with a capital A,” as Martin dryly puts it – not long after the release of their 2004 album, Seven Circles. It was, by all accounts, a harrowing time, a time which saw the band torn apart by drug use, creative differences and general disarray. It was a far cry from how the band were initially, back in 1990 when they formed, and indeed, throughout the ‘90s as they went about their business, blazing trails, releasing that slew of grandiose records, proving you didn’t have to follow a formula or paint by numbers – they wrote their own formula, made up their own numbers. 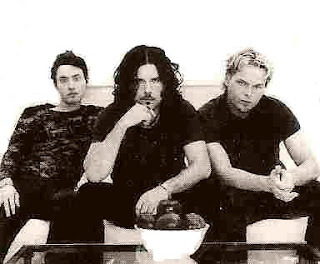 The band released their eponymous debut independently in 1991, pilfering a number of tracks from it for inclusion on their label debut, Splendor Solis, two years later, and so began their rise. The Edges Of Twilight, Transmission and Triptych followed to great acclaim, this mythical three-headed beast stomping on the terra with impunity – they were rock stars. That it did – the band’s long-time manager and “buffer” between them and ‘the industry’, Steve Hoffman, died in 2003, their last two records were riddled with creative difference, the train derailed, its members thrown in different directions, a behemoth felled. “It came down to, from where I stood, my general concern over Jeff’s health and his welfare… I didn’t want to see anyone die on my watch,” confides Burrows. “And what was so frustrating was… when he hit the stage, he would still be so dead on, slightly sloppier on occasion, but still so damn good, but on the flipside I’ve got our manager calling and asking what’s happening with Jeff, I’ve got lawyers and agents calling me, and I got tired of it. When asked to describe how he feels about the band’s last two records, The Interzone Mantras and Seven Circles (widely regarded as a step away from the ingenuity and bare-boned originality of their previous efforts), Martin is sage, but you know his heart wasn’t in either of them. It was during The Interzone Mantras sessions that Martin’s drug use went from, as he says, recreational to habitual, and the rest unravelled from there. This happened seven years ago. Until last March, Martin and Burrows, friends since elementary school, hadn’t spoken – the pain ran deep, the band was no more, The Tea Party was effectively dead and buried. Burrows continued on in music, most notably with Crash Karma, and has hosted a radio show in Windsor, Canada, for years now. He’s also heavily involved in charity work. Chatwood has since forged an extremely successful career composing soundtracks for video games, and Martin? Martin never stopped, the man is a rock star at heart, it’s doubtful, despite the pain that would no doubt have plagued him post-Tea Party break-up, that he could ever stop playing music. So he struck out solo, releasing the sublime Exile And The Kingdom in 2006; he played with tabla player Ritesh Das; he played with a tabla ensemble; he played with percussionist Wayne Sheehy; they roped in bassist Gareth Forsyth and formed The Armada; and then in 2010, Martin formed 777 with J. Cortez and Malcolm Clark. 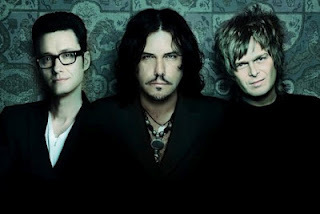 777 released just the one album, The Ground Cries Out, which should perhaps have been titled Jeff Martin Cries Out – for The Tea Party. The band has already played a couple of short tours through their native Canada, and the blocks are carefully being put back where they belong. Slowly, surely, so very carefully. There are butterflies – almost visible ones. There are nerves. There is an abundance of caution. “The friendships are still there, it’s just something that needs to be worked on, and that’s the hard part for me because I’m a pretty sensitive individual, I’m very emotional,” Burrows says candidly. He doesn’t say as much, but it’s a fair bet Martin feels the same. “If we’re not writing, I’m not gonna tour after this Australian tour,” Burrows then says, going on to say he doesn’t want to be ‘that’ band who just play their old material. He need not worry, as Martin has already begun. There is little doubt, given how much time they’ll have together when on tour in Australia in July, that the three of them will write together once more. What’s already there, what Martin played Rolling Stone in his small home studio, whilst only the bare bones of songs, is immense. With Burrows and Chatwood behind it, it will be gargantuan. “For us, it’s not about the money, that’s not necessary or important,” Martin says in closing. “It’s about can we get beyond the personal issues, get back into a rehearsal room, and can we make this band sound like it did?” As he said earlier in the interview when asked if they can lock back in, right after Triptych – “I can do anything I want.” Believe it.